The word festival finds its origins in two words i.e. ‘festival dai’ which was the term used to explain a religious holiday, and ‘fiesta’ from Spanish, which meant celebration of a religious nature. In fact, the word feast actually means an elaborate spread during a festival. In India, festivals transcend religions and origins and embrace their celebratory nature. In a world where diversity is a hard pill to swallow, these festivities of our country have given its people a reason to unite and celebrate our pastiche existences. 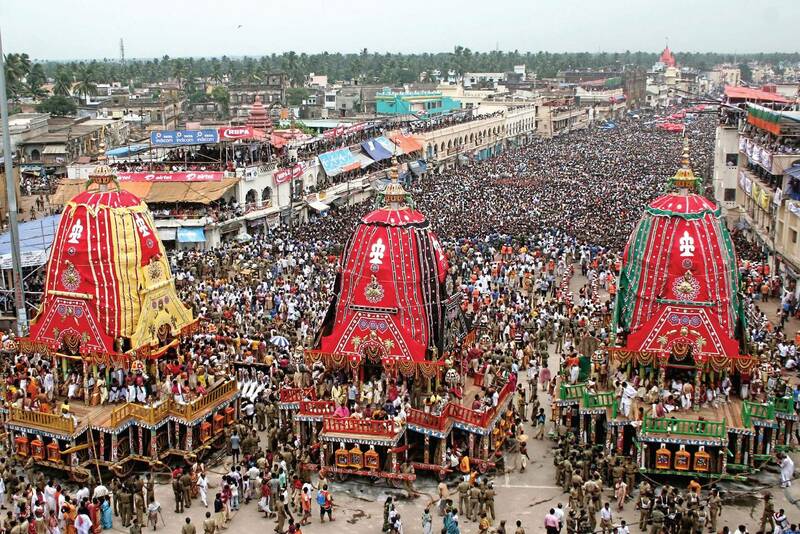 The Rath Yatra, that takes place all over India, the Puri Rath Yatra being world famous, attracting people from all over the world [if you have not seen this spectacle, you definitely must, the phrase ‘You’re a drop in the rain of humanity’ will ring true when you stand in that crowd]. The interesting back story behind this is that Lord Jagganath, one of the avatars of Lord Vishnu, travels with his brother Balarama and sister Subhadra, during the middle of summer [June-July] in great chariots, to visit the gardens in their holy abode, and roughly a million people are present in Puri, to be a part of the lord’s journey. Juggernaut, by the Oxford dictionary, means ‘destructive force’. It is believed that the British, who saw the Jagannath festival for the first time, felt the sheer force of the festival, the potency of a tradition that bought hundreds of thousands of people together, during the process of which people got crushed under the wheels [another reason they might have used the word ‘destructive’] decided to incorporate the word Jagannath into their language and hence Juggernaut emerged. The real greatness of this festival lies in the power it holds over our people, which is wondrous and is palpable during the festival. A country is as united as its cause, and in our country, our cause is just to celebrate with the Gods. Though people say they come to pray and hope their wishes come true, yet they really ask themselves why they return, year after year, irrespective of whether their wishes saw the light of day or not. They come to see that it’s not the hope that holds a clout over them, but the crackling energy in the air, that one feels like experiencing, once they get a taste of it. In conclusion I could say that the myriad hues of joy and excitement, mingled with myth and awe leave the visitor of the Yatra dazed, yet invigorated, craving for the experience once more. Sriraksha V Raghavan is a resident of the city that is resplendent with old world charm, Bangalore. A typical 90’s kid, she grew up on swings, building castles in the mud, twiddling with cassettes, dressed in overalls. She loves reading, and her journey, much like most readers began with the bona fide genius, Enid Blyton. Growing up in a household that adored movies, she’s an avid movie watcher, who would love nothing better than a lazy Sunday, with newspapers, coffee and a stash of cult classics at her disposal. She is presently studying engineering, while indulging in her favourite hobby of creative writing. 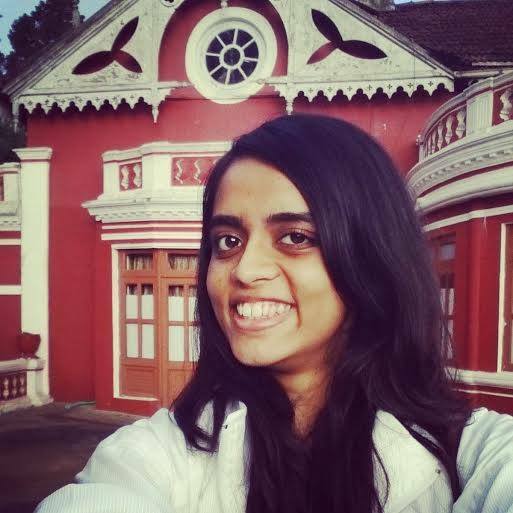 She recently discovered the joy of critiquing, which helped build her trivia knowledge, which is another hobby of hers, and she loves a good joke and believes that the world is a better place when viewed through the goggles tinted with humour. She loves working with other people, especially in the NGO space, and hopes that one day, she can make one life better, and in that process, derive meaning to her own.